An innovative product that has been developed at C-TRIC (Clinical Translational Research and Innovation Centre) has won the Digital Media and Software category at the £25k Awards. The winners were announced at a gala dinner before an audience of more than 250 executives, entrepreneurs, investors, service providers, clinicians and academics. 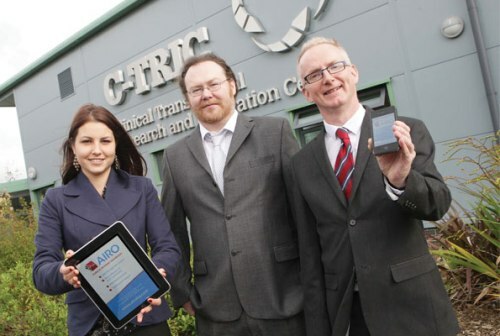 AIRO, a healthcare ‘Clinical Communicator’ or ‘Dashboard’, is a collaboration between the Western Health and Social Care Trust (Western Trust) and local company Future Healthcare NI. The AIRO Clinical Communicator is a web-based clinical task management dashboard, designed to improve the communication between doctors and nurses, which improves patient safety and reduces costs. Further information is available on the Western HSC Trust website.